The Annual Fund is an indispensable source of annual unrestricted income that provides support for NYIT's core needs. From student scholarships to facility maintenance to faculty research, your generosity influences every aspect of NYIT. Donors who contribute $1,000 or more to the Annual Fund in a single year (Sept. 1 – Aug. 31) become members of the NYIT President's Club. Many companies encourage employees to make charitable contributions by matching their gifts. Ask your personnel or human resources department for a matching gift form. Some companies also match spouses' gifts. Provide support directly to NYIT Athletics by joining the Bears Athletic Fund, a group of dedicated alumni, parents, and friends who support NYIT's NCAA teams and athletics programs. Your participation in the Bears Athletic Fund ensures a quality athletic and academic experience for all student-athletes. Without this funding, NYIT could not field its championship-winning teams and all-star athletes. All contributions directly support our students and coaches with funding for equipment, facility upgrades, team travel, and academic support. Choose to support special projects, such as the construction, renovation, or expansion of buildings, faculty support, or specific programs. Capital gifts can lead to recognition opportunities that honor or memorialize a particular person or family. When you give to NYIT's endowment, you provide a perpetual revenue source for the university. Only income generated from invested dollars can be directed toward a cause you select or that is in accordance with NYIT's endowment spending rules. 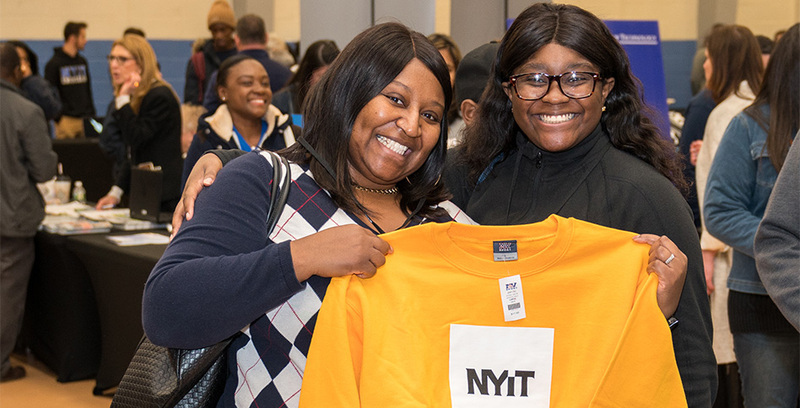 Establishing an endowed scholarship is a terrific way to support talented NYIT students and have your name remembered for generations. Including NYIT in your estate plans may provide valuable tax benefits to you and your family. Such gifts can be made through wills, retirement plans, life insurance, and trusts. Non-monetary, tangible donations to NYIT may include equipment, artwork, items for auctions such as tickets to sporting events, specialty materials for projects, and furniture. Such gifts will be accepted if deemed of scholarly interest and/or of use to the college. Please note that NYIT cannot appraise or assign value to gifts of tangible property.